I believe that if there is one make up product you should invest seriously in, it has got to be foundation... Of course having good skin to begin with is an added bonus (a lot of my peers would attest to that!) 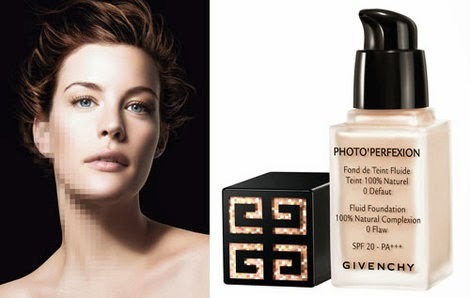 but because not everyone is blessed with perfect skin every day, having the right foundation is an absolute essential. When I was in London recently I picked up a bottle of Givenchy Photo’Perfexion fluid foundation SPF20, which came highly recommended by a friend in the know and accompanied by the claim that it gives you the ‘perfect skin quality obtained with digital touch ups’. Who doesn’t want that? Essentially, it is a beautiful to use formula that works like a concealer to correct imperfections, smooth the skin's texture, and even out the complexion - but without the feeling or the look of having caked it on. Photo'Perfexion conceals dark shadows and sallow complexions with ease, and goes on smooth and velvety every time with a flawless finish.